The McGill Outreach Program is one of a kind. As Quebec’s only completely mobile dental clinic, dental chairs and lights, sterilization equipment and dental instruments are packed into a truck and transported around the city to provide free dental care to individuals living in poverty. McGill dental students, dentists, as well as many volunteers made it possible to hold a total of 14 mobile clinics last year on the island of Montreal. 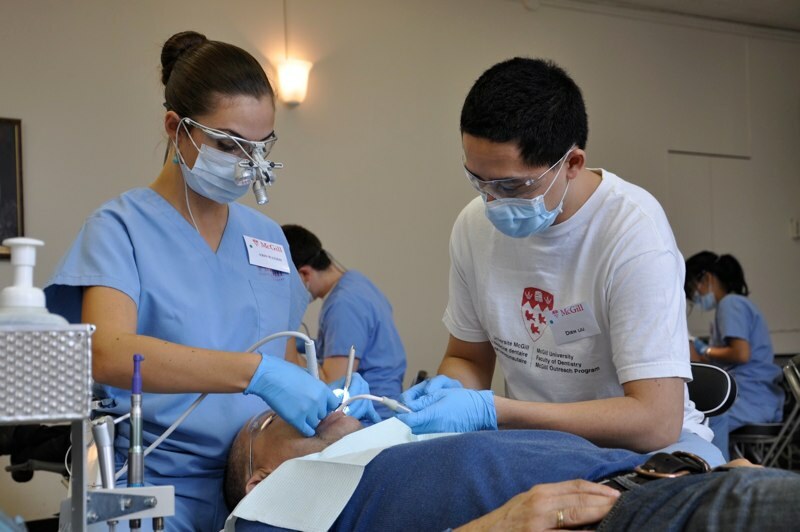 Four additional clinics were held at the Montreal General Hospital, where students were able to perform more elaborate procedures such as radiographic diagnosis as well as fillings, and tooth extractions. The Jim Lund Dental Clinic at Welcome Hall Mission is the newest addition to the outreach program. A permanent satellite clinic open 3 days a week, where McGill students and residents, overseen by the Faculty of Dentistry, provide free, basic dental care to recent immigrants, the disabled, the elderly, and low income families.